The Story of Samuel Clemens as "Mark Twain"
Author Samuel Langhorne Clemens used the pen name "Mark Twain" and a couple other pseudonyms during his writing career. 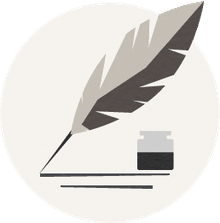 Pen names have been used by authors throughout the centuries for purposes such as disguising their gender, shielding their personal anonymity and family associations, or even to cover up past legal troubles. 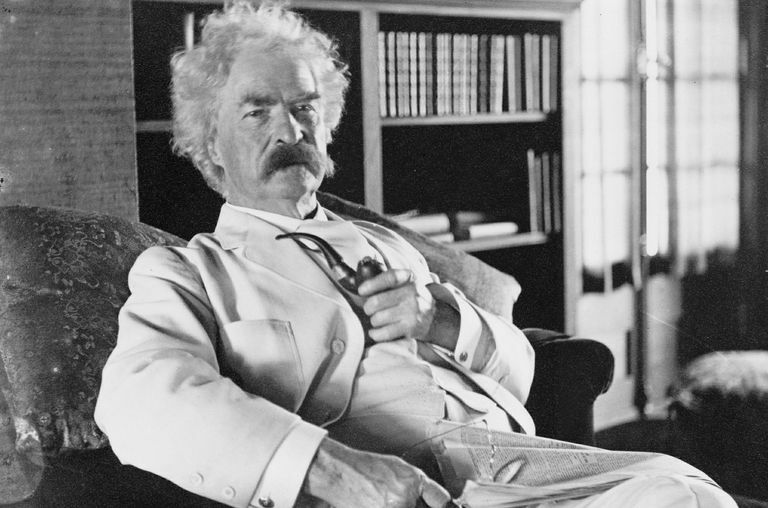 However, Samuel Clemens didn't appear to choose Mark Twain for any of those reasons. In Life on the Mississippi, Mark Twain writes about Captain Isaiah Sellers, a riverboat pilot who wrote under the pseudonym Mark Twain, "The old gentleman was not of literary turn or capacity, but he used to jot down brief paragraphs of plain practical information about the river, and sign them 'MARK TWAIN,' and give them to the New Orleans Picayune. They related to the stage and condition of the river, and were accurate and valuable; and thus far, they contained no poison." The term mark twain is for a measured river depth of 12 feet or two fathoms, the depth that was safe for a steamboat to pass. Sounding the river for depth was essential as an unseen obstruction could result in tearing a hole in the vessel and sinking it. Clemens aspired to be a river pilot, which was a well-paying position. He paid $500 to study for two years as an apprentice steamboat pilot and earned his pilot's license. He worked as a pilot until the outbreak of the Civil War in 1861. After a brief two weeks as a Confederate enlistee, he joined his brother Orion in Nevada Territory where Orion served as secretary to the governor. He tried mining but failed and instead took up as a journalist for the Virginia City Territorial Enterprise. This is when he began to use the pen name of Mark Twain. The original user of the pseudonym died in 1869. In Life on the Mississippi, Mark Twain says: "I was a fresh new journalist, and needed a nom de guerre; so I confiscated the ancient mariner's discarded one, and have done my best to make it remain what it was in his hands—a sign and symbol and warrant that whatever is found in its company may be gambled on as being the petrified truth; how I have succeeded, it would not be modest in me to say." Further, in his autobiography, Clemens noted that he wrote several satires of the original pilot's postings that were published and caused embarrassment. As a result, Isaiah Sellers stopped publishing his reports. Clemens was penitent for this later in life. Before 1862, Clemens signed humorous sketches as "Josh." Samuel Clemens used the name "Sieur Louis de Conte" for "Joan of Arc" (1896). He also used the pseudonym "Thomas Jefferson Snodgrass" for three humorous pieces he contributed to Keokuk Post. Fatout, Paul. “Mark Twains Nom de Plume.” American Literature, vol. 34, no. 1, 1962, p. 1., doi:10.2307/2922241. Twain, Mark, et al. Autobiography of Mark Twain. University of California Press, 2010. Twain, Mark. Life on the Mississippi. Tauchnitz, 1883.